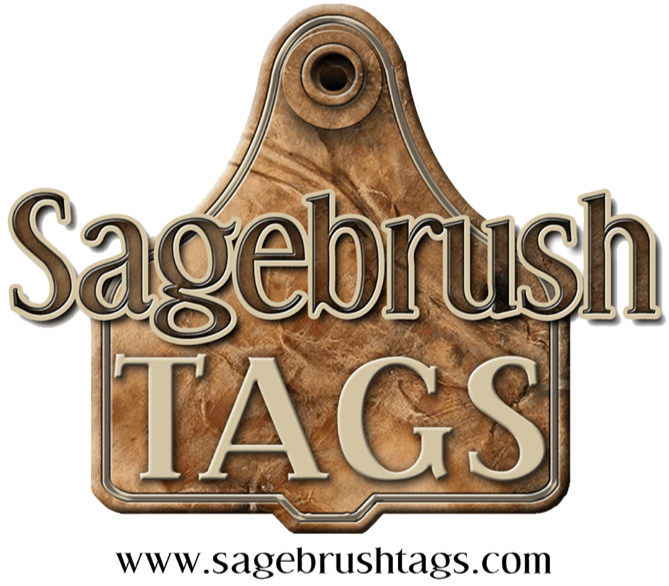 Sagebrush Tags is a family-owned small business. We place a high priority on fast, friendly customer service and fair pricing. We welcome all inquiries about identification products, and will do our best to provide answers in a timely fashion. We offer a wide variety of livestock identification ear tags. 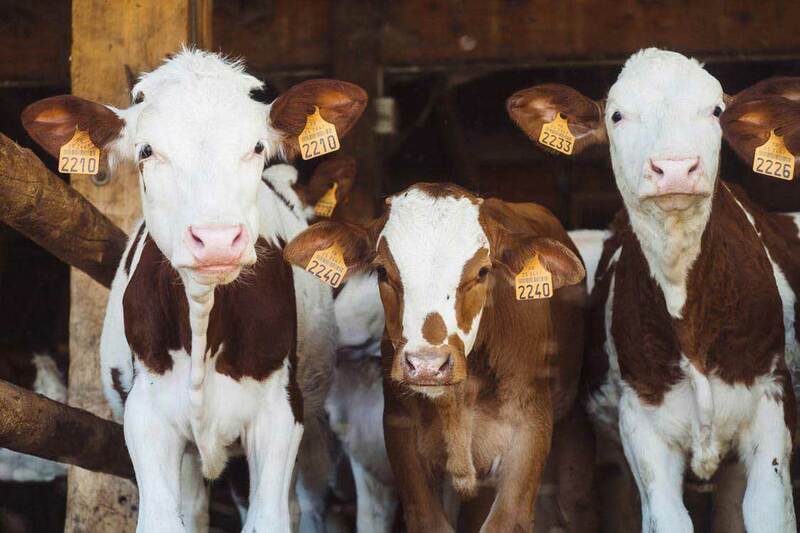 In addition to tagging livestock, ear tags can be used to identify other items such as tree rows, wheel chairs, spools of cable, lead aprons, and much more. We frequently sell just the "female" (Panel tag with hole at top) portion of the 2pc tags, which can then be attached using a cable tie, or other type of attachment. Some folks order them with key rings or key chains. If you have a project that you would like tags for, we will work with you to provide the best tag and/or print solution. When custom-printed tags are ordered we will have them professionally printed by the manufacturer and then shipped directly to you, the customer. Your custom print order will usually arrive within 2 to 4 weeks of the order date although it can sometimes take longer January through May and September through November as these are the busiest times of year for the tag companies. If you need them sooner please let us know and we can check with the manufacturer to see how they are running and if they can meet your deadline. We will try to keep you updated on current processing times periodically on our Facebook page - www.facebook.com/sagebrushtags. To the livestock industry, I have purchased many tags over the years and I have always had issues from ordering the quality of the tags until I met Sagebrush. It was the easiest order I have placed and Laura was great. The tags were delivered in a maneagable time and they were exactly what I had in mind. I will be ordering all my tags from Sagebrush. Thank you Sagebrush! 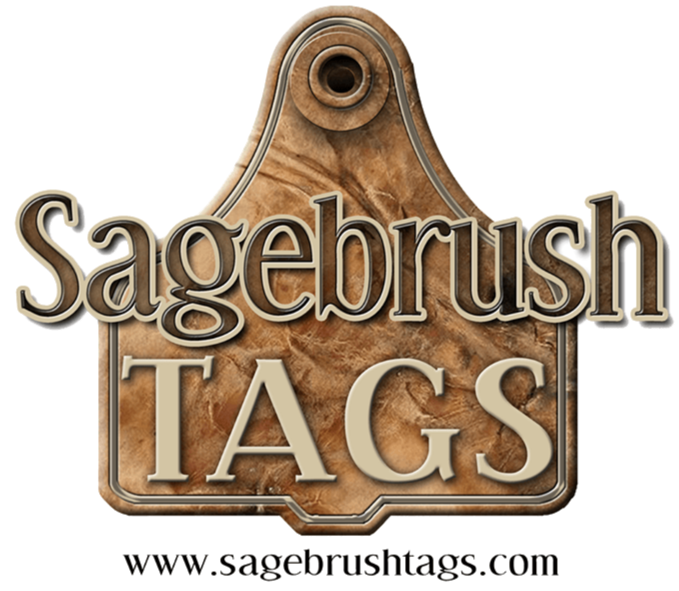 Sagebrush Tags helped us through the maze of competing tag manufacturers to find us exactly what we wanted according to the timeframe we needed. They offer honest, courteous service, and they never let any details slip by. Thank you Sagebrush Tags for these customized ear/halter tags for James Ferreira Horse Training. Our order arrived quickly and the product is better than expected! The customer service we received from the moment the order was placed until the moment I received them was exceptional. Y&apos;all are so easy to work with...thanks for the great customer service!! I would receommend you to anyone, anywhere! Thanks so much for your honesty and courtesy!! Even though I&apos;m not a very big customer, I love using your company and really appreciate your prompt service and attention to detail. Thank you SO much. You have truly been such a pleasure to do business with. We will definitely keep you in our system for future orders! You have shown customer service that is so rare these days. Thank you for being so easy to work with and helping me pick out what I wanted! Use tags to identify my bucking bull. People can tell who the owner is by the tag.